Hello friends! Now days mobile devices are mostly used to listen music. There are several ways to listen music on your mobile device some of them are free some of them are paid. But most of them required internet connection whenever you want to listen music. If you have wifi access all time probably you do not have any problem but if you use mobile data it will cost too much. That's why it is better to download and store music as mp3 file format on your device. You can download free mp3 music from a mp3 downloader sites. There are many online mp3 downloader sites available. 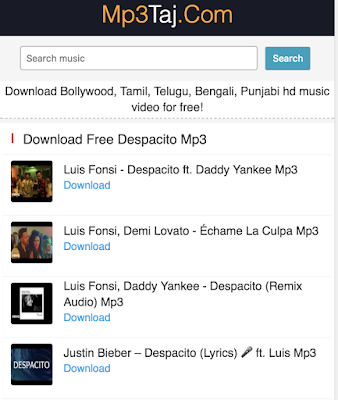 Today I'm going to show you how you can download free mp3 music on an Android mobile. You can download almost any kind of music using this way. Including Bollywood, Tamil, Bengali and many more. Today I'm going to use a fast and simple mp3 downloader called Mp3Taj. 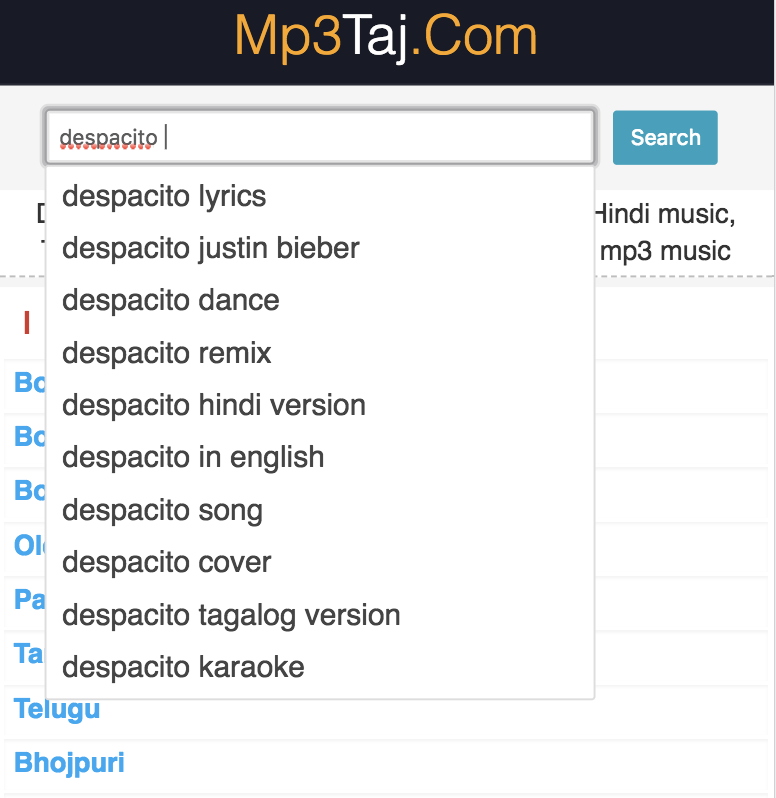 To download mp3 at first you need to go to https://mp3taj.com using a web browser. 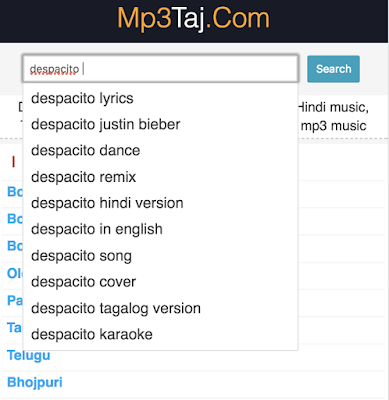 Now search a music by it's title/artist name/album name/movie name. You will get many results find out the best possible result from this list. Now click on the download button to download music. This method is also applicable on Windows phon, PC and other devices.